Brides these days are seen going on a hunger strike. Yes, literally! No, no, not to stand against or in support of any social cause, but to get a bridilicious body, the one to die for. 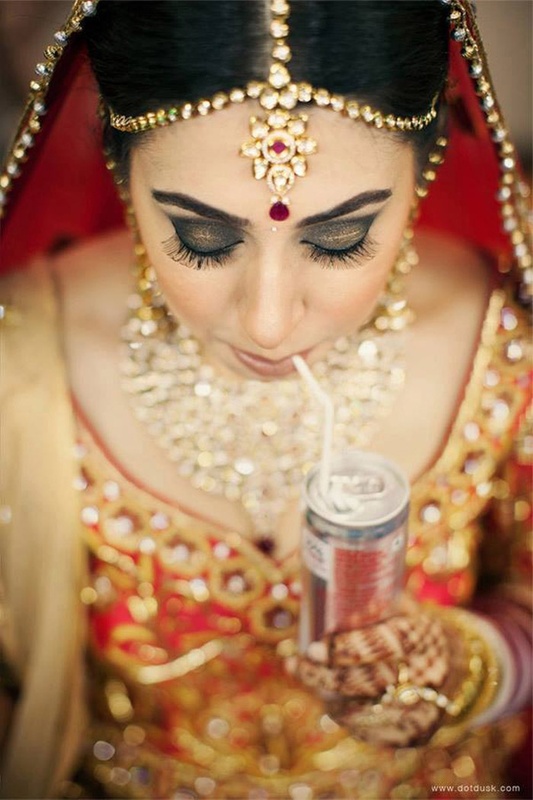 But, seriously ladies, you don’t need to take up diet plans that make you starve to look like a stunner on your wedding. We’d rather say you eat and eat more to keep your body well fed and nourished. Right meals consumed at the right time and a little effort put into easy workouts, viola! You won’t even be able to recognise yourself within the next couple of months. Yes, you read that right, months! That’s all the time it takes to getting that bridilicious body. There is no quick weight loss mantra. Miracles don’t happen overnight. But before we get into the crux of the really heavy things, you need to first prepare yourself mentally to agree to eat healthy before, as well as after your wedding. Yes, there will be days of temptations. Yes, there will be days when you’ll say to “heck with it” and give up if you don’t see quick results. But, don’t give up! Q.) How to Choose Your Food? Now that you know which food to pick, let’s introduce you to the new wedding diet plans that make eating healthy so much fun! Can’t commit to eating a certain food type? Need quick and fast results? Then, this crazy crash diet perfectly fits your requirement. All you need to do is watch the calories you intake. So you eat whatever you like but restrict the consumption to 2,000 calories five days a week and only 500 calories for the other two. By 500 calories we mean you’ve got to fast for two days. Are you game? Say no to processed food for 30 day and watch your body magically loose inches and heal your insides as well. Q. )How to Curb the Hunger Pangs? Don’t give in to mindless eating, know what you’re consuming and how much. The half plate rule comes extremely handy when you need to curb those hunger pangs that mindlessly work your hands to grab any and every dish placed in front of you. Firstly, resize your regular plate so that you don’t overfill yourself. Divide your plate, with half of it filled with vegetables and fruits, and the other half with starch and protein. This way you trick yourself not binging, but, eating a proportionate and balanced meal. How You Can Trick Yourself To Eat More Fruits And Veggies? Having the same kind of vegetables and fruits over and over and over again can get too boring and tasteless after a point of time. These yummy, yum ways of preparing your everyday meals could be an easy trick to make you consume more of those greens and fruits. The trick here is to have fun experimenting with your everyday meals. Try them out! Less of meat more of vegetables, like cherry tomatoes, carrot slices, mushrooms, eggplant, onions, squash and sweet potatoes. Add chopped tomatoes and cilantro to store-bought salsa and there you have your perfect dip for pita bread and dressing for salads. Spinach salad mixed with fresh oranges makes for a flavourful salad. Ditch the traditional French fries and try out roasted sweet potatoes that are crunchy and Vitamin – A enriched. Throw in large chunks of carrots, potatoes, celery and onion, toss them with a tablespoon of olive oil, a dash of salt and pepper, and a few sprigs of fresh rosemary; roast at 425 degrees for 30 minutes. - Carrots, apricots, yellow and orange fruits, spinach or green vegetables and tomatoes for glowing skins. This coupled with a perfect workout plan can work wonders for you! And don’t worry about lifting those weights; they won’t make you look bulky it’s just a myth. Instead, weight lighting will tone you up and help you rediscover yourself. And lovelies, please be realistic in achieving your goals. Set achievable timelines and don’t be disappointed if you don’t get desired results. Good luck shaping up and staying healthy!